While flying all over the world as a buyer of stationery and miscellaneous items, Ng’s life cannot go on without writing and painting. 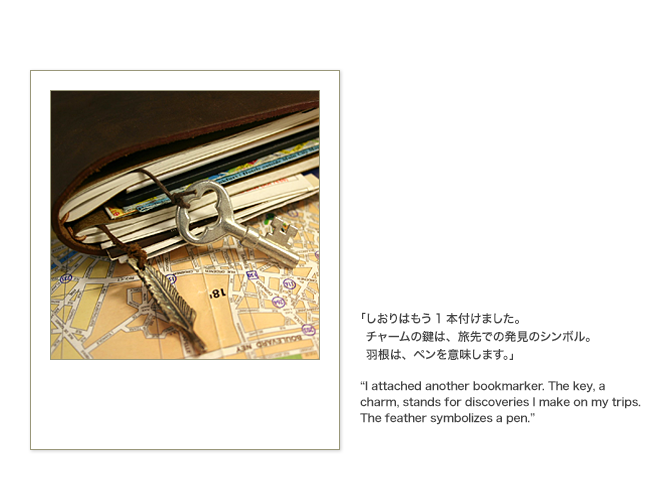 His cherished TRAVELER’S notebook shows his two sides. 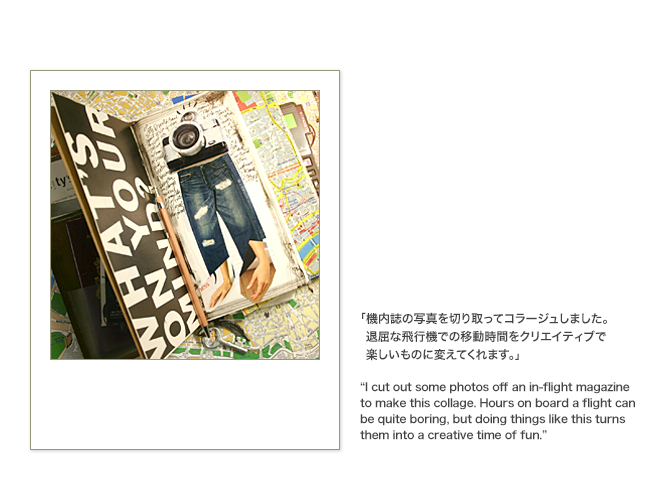 While it is full of ideas helpful in business, it also proves his artistic sense and aesthetics. His father used to travel around the world as a buyer of Chinese paintings, says Ng. Back in his childhood, his apartment room was crowded with paintings his father bought, and Patrick found them nothing but nuisances. Yet his father’s business might have influenced this buyer for LOG-ON, city’super, who walks around the world in search of new, fascinating items. 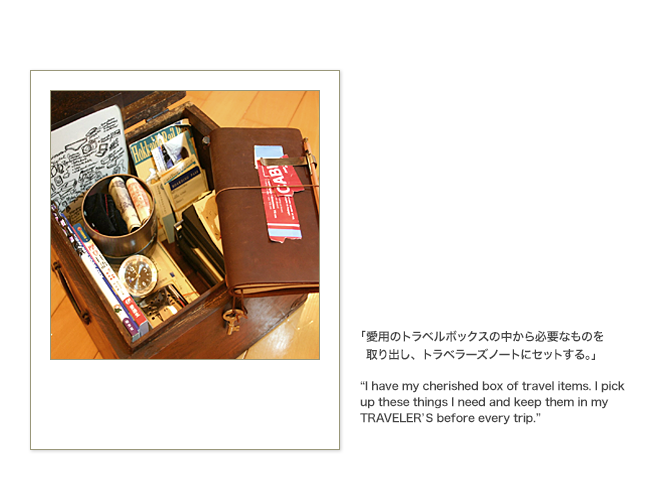 I use my TRAVELER’S to hold my passport, flight and train tickets, and other important sheets. In the notebook, I write some records of my travels, and make some drawings of places I visit. Drawing on travel is a lot of fun. Also, before every business trip I take, I write down my schedule of meetings and exhibitions, as well as stores I want to visit. 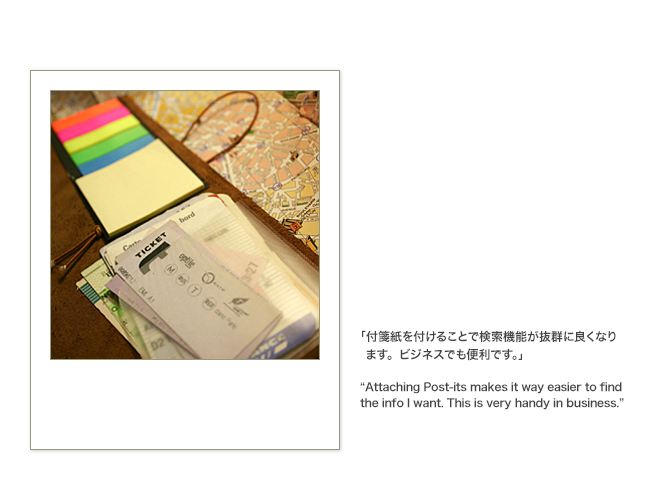 Then, after I visit those stores, I write down my impressions of them and file the notebook pages to keep them. 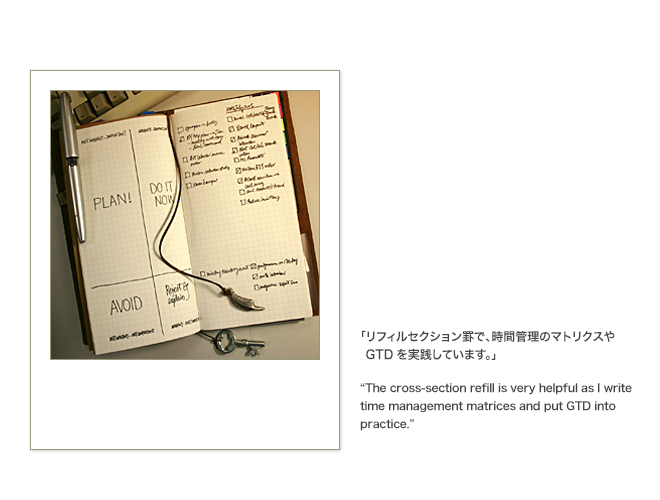 I am a big proponent of Stephen Covey’s time management matrix and David Allen’s GTD (Getting Things Done). The cross-section refill is very nice to write matrices and to-do lists. 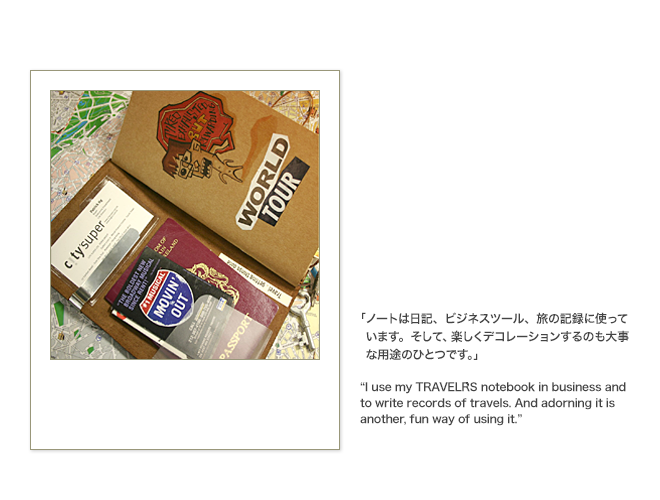 This way, with my TRAVELER’S , I learn how important and urgent each job is and confirm what jobs I should do. 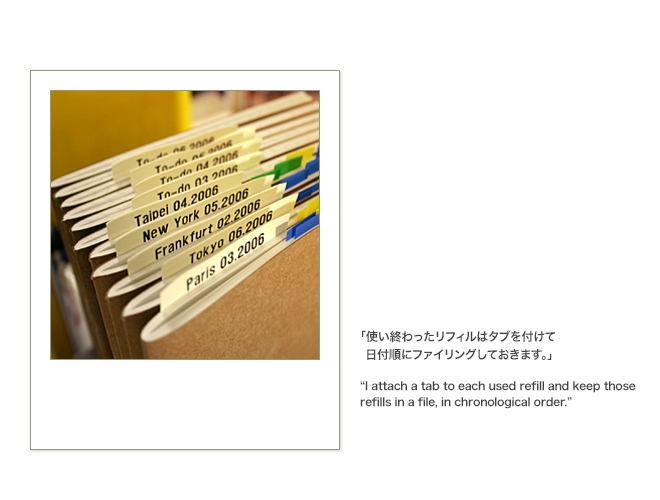 After use, I attach a tab to each used refill and file it to keep it. When you use it this way, these business techniques become part of you. 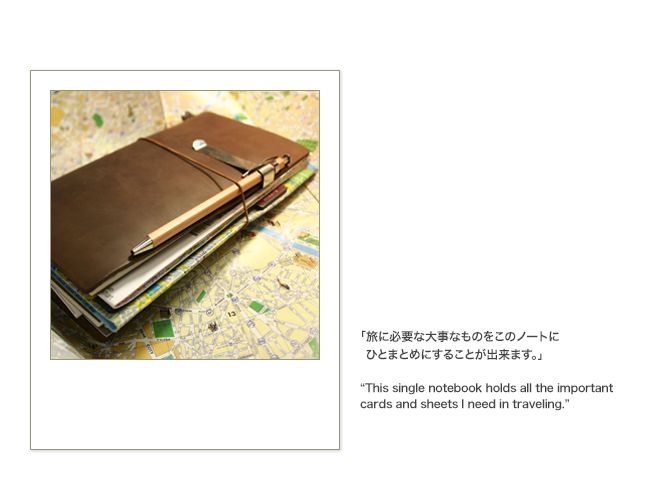 Also, since I can change the notebook pages for new refills, my TRAVELER’S has been a long-time friend of mine. Its leather cover ages and changes its texture, and it becomes an even better friend. This is where TRAVELER’S is great. A buyer of stationery and miscellaneous items, Ng works for LOG-ON, city'super, a Hong Kong store chain that proposes lifestyles to customers. Ng is in love with paper and pens, making the most of them to express things and use them in business activities. 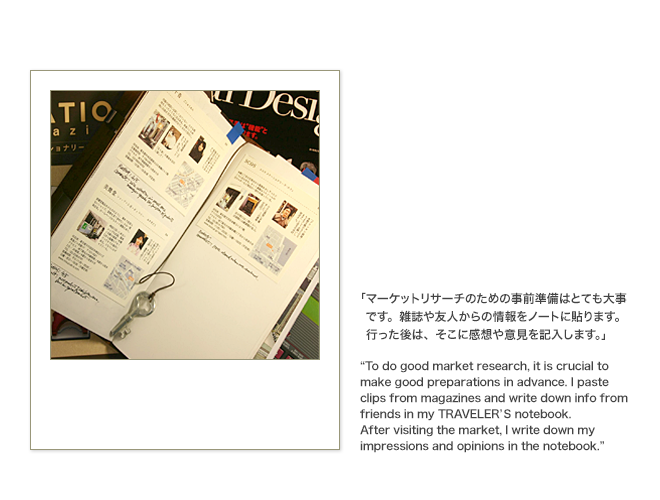 As a buyer, he travels all over the world, 15 times a year on average, to buy items and do market research. 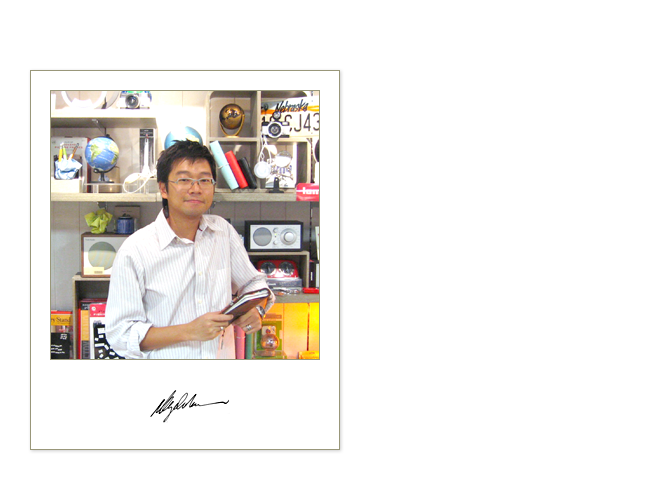 In addition to being an international businessman, he also has another side - as an artist who writes a blog on stationery, and provides his paintings to Hong Kong events featuring designer notebooks.